Here’s a gift guide for the special women in your life. These gift ideas would work for moms, sisters, wives, mother in-laws, grandmothers, daughter in-laws, sister in-laws, friends, and pretty much any special woman in your life. I’ve made sure to include a variety of items that would spark different interests and different price points. Oh and honey, if you happen to be reading this…these are GREAT gift ideas for your wife! Wink, wink! Soma Cool Night Pajamas – I haven’t tried these pajamas but I’ve heard so many good things about them. They’re made with breathable fabric that keeps you cool and dry and retains its shape and drape, even after countless washings. I’ve also heard they are SUPER soft! I’m loving this black sleep shirt and this navy one. They also have a variety of different sets. Decorative Basket – This basket is the cutest! You can use it to hang on your front door or for around your house. Nesting with Grace shares a variety of ways her readers use this basket around their homes and it’s perfect! Birthstone Bangle Set– These are beautiful, simple and sleek making them perfect for anyone! They come in gold and silver. Custom Print Recipe – The perfect, sentimental gift for your loved one is this hand lettered recipe! Or you can treat yourself to a pretty print to hang right in your kitchen of that recipe card that you’re constantly pulling out of the cabinet! Ashlyn does an amazing job on custom prints. Handmade Leather Earrings – I have a pair of earrings from this boutique and EVERY TIME I wear them I always, always get compliments on them. They’re seriously my favorite pair! They’re so comfortable. Right now her shop is having a special for November. For every pair you buy you get another surprise pair for free! Hurry the deal ends fast! Oh, and they make the most beautiful leather handbags! Raise Good Humans Graphic Tee– This tee is perfect for any momma out there and I love this small shop’s mission. Rainbow Mama Graphic Tee – These tees were created to honor pregnancy and infant loss and the various routes to motherhood. Rainbow mamas are those who have experienced pregnancy or infant loss and have a subsequent child. 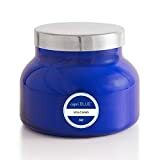 Capri Blue Volcano Candle – So many RAVE about this candle and it’s universally pleasing scent. 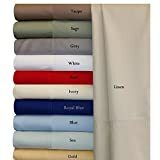 Softest Bedsheets Sheets on the Planet– My sister in-law introduced these bamboo sheets and Oh. My. Word! These are the softest sheets I’ve ever had in my life! Seriously the best! They’re great quality (hold up in the wash), super soft, cooling fabric and a great price! Glass with Wood Lid Canisters– I saw this canister set at Kirkland’s and fell in love. These are gorgeous! Wooden Scoop Set- These are great to add with the canisters above. Chis and sturdy. Gold Measuring Cups and Spoons – I’ve been wanting a nice set of gold measuring cups and spoons and this set is perfect! Anyone who loves to bake or be in the kitchen would love these. Glass Photo Keepsake Tray – This photo tray says, “May the memories last forever,” which I love, but you can also personalize it with whatever you want. The photo can also be changed allowing you to put your new photo favorites in it. This tray is great for trinkets, jewelry, etc. 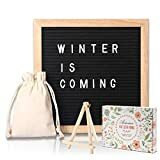 Felt Letter Board – These are still a popular fad and a great gift idea. This set is a great price and comes with tons of letters. Wine Preserver – This can preserve wine for up to 8 weeks! 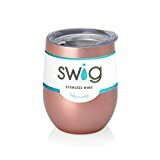 Swig Wine Tumbler – Comes in a lot of colors and keeps beverages cold for 9 hours and hot for 3 hours. Oh, and it’s dishwasher safe and shatter resistant, making this the perfect stemless wine cup! Le Creuset Bowl – This is safe for the freezer, microwave, oven, broiler and dishwasher. Pretty much it’s perfect for anything! Personalized Stationary– a nice simple yet thoughtful gift idea for those who love writing letters and cards. Personalize “From The Kitchen Of” Stamp– a unique gift for the bakers in your life. 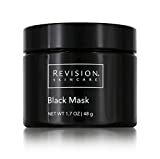 Revision Black Mask– a great way to pamper yourself at home. Ok, now tell me your gift ideas!